NYC is a fantastic city to be a blogger. I love it! And with our recent move I'm even more accessible to the heart of it all - Manhattan. If you follow me on Instagram, you've seen me running around with my Lil Love Bird often in tow, but sometimes without her to attend blogging events. I'll be honest: I'm a bit backlogged on writing recaps and yes, the swag is great but above all else I find getting from behind my computer screen (a resolution I made long ago!) and connecting with fellow bloggers, readers and brands to be the highlight of blogging. I'm a connector at heart! I had the pleasure of attending two fabulous events earlier this spring and wanted to share them with you . . .
With travel season upon us I was thrilled to be invited to my first Momtrends event to discuss the latest in travel trends. Hosted at the adorable Polarn O. Pyret store in Tribeca, I had to seriously restrain myself from buying up everything in the store! I ended up getting just this for Nia, but I'm tempted to go back for more as they're running an awesome Gilt deal as of me writing this AND their HUGE semi-annual sale just started today and runs until June 12! 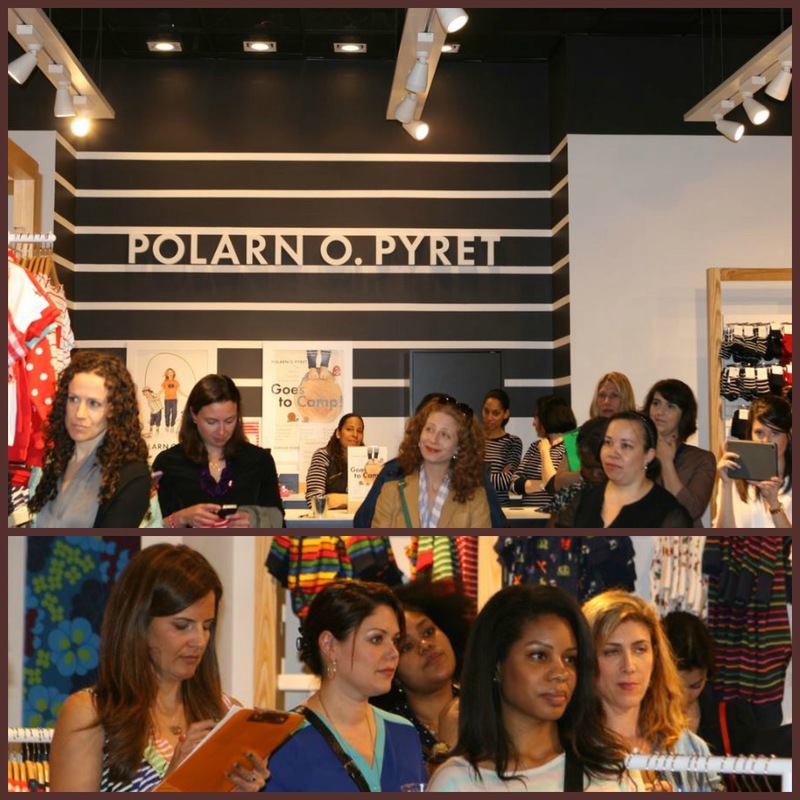 Home Away, TravelSort and London Times were also in attendance to share tips on this season's family travel trends. The most surprising info I learned was from TravelSort and the power of rewards points and how to use them effectively - the founder shared that she rotates between 20 credit cards that help her pay for all her family's travel! I was quite impressed! While having that many cards isn't for everyone, she recommended having a few and grouping your applications on one day as to not adversely affect your credit score. She also discouraged us from using points to upgrade; it simply isn't worth it. Her biggest tip??? "Earn and burn your points!" Duly noted! My phone died so sadly these are the only pics I took, but head over to Brooklyn Active Mama for more! This exclusive event hosted by Single Edition Media was held at Delta's pop-up terminal in Soho - how cool is that? 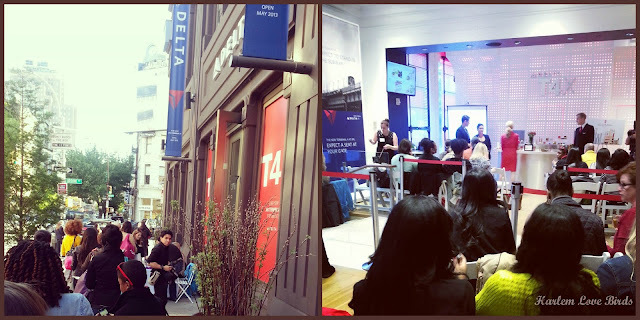 There were Delta actors staff on hand to welcome us, drinks and so many fun brands to interact with . . .
What I didn't know going into this event was how entrepreneurial focused it was - I really enjoyed hearing directly from the founders about their businesses. Their passion really shined through and inspired me especially as I'm in the process of mapping out the future of my own brand. Be on the lookout for more detailed posts about some of the brands mentioned here . . .
What type of events do you like to attend in your city - blogger or not? Disclosure: I received gift bags at these events; no other compensation was received. All opinions expressed are my own. P.S. A fabulous skincare review/giveaway courtesy of Thyme Maternity will be up on the blog tomorrow as well as an exciting announcement!